Since Paradise Is Coming 64kb intro was released back in the 2002 (watch it here) I have been asked several times about the algorithm to create the dynamic clouds on that intro. 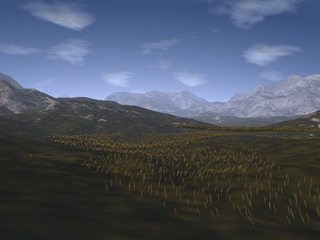 The intro showed several landscapes with clouds moving and changing shape in the sky. But the interesting point on dynamic clouds is not the fact that you can animate them, since in real life you hardly can see the clouds changing during say, one minute, at least in normal conditions. 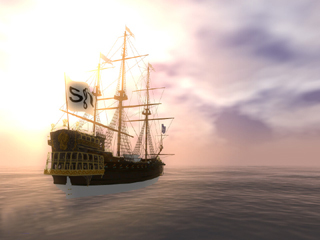 However, being able to make dyanamic clouds basically means you have a procedural way to create them. 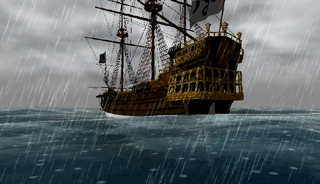 And this is not only good for 64 kb demos where you obviously need procedural content, but also for those kind of applications where the weather condition shown is not predefined, as interactive virtual reallity simulators or scenareo editors. Actually the algorithm I used for that intro is a very well known and documented one. I'm going to write about it anyway, because I will set the basis to explain how it can be modified to completelly fit in the graphics card's GPU, what makes the rendering extremelly fast (almost for free). In Paradise Is Coming the algorithm was completelly implemented in the CPU, and I had to trade off some quality to achieve high performance. With the algorithm completelly maped into the GPU, not only faster rendering is possible, but also high quality rendering. We first assume we are going to create 2D clouds, that will hopefully sucessfully fake real volumetric clouds. For that we will create one or more 2D layers that will be used as input to the sky dome shader. That shader will also take into account other factors as background stars, sun position, and so on. So, we will concetrate on creating one of those dynamic 2D cloud layers. What we requiere from the algorithm is basically the ability of the user to define the density of the clouds, and the sharpnes at least. We will use, as expected, some Perlin noise octaves to construct an fbm or turbulence function as basic primitive. The most obvious way to generate dynamic 2D clouds is creating a 3D static cloud volume and use the time to index into the third coordinate. We discard the option of generating the 3D turbulence in realtime since we want the technique to be as cheap as possible (we are interested in the realtime usage of it). Thus, we can think on precomputing it into a 3D texture and then select the correct slice according to time. Doing the linear interpolation between the two closest slices is for free if we use hardware 3D textures to do this (trilinear interpolation). Problem with this option is that having a nice 2D cloud texture (say, 512x512 at least) could easily consume half the video memory if not all of it (in 2005 graphics card's with 512 Megabytes are still rare). The alternative is a nice trick. Decomposing the turbulence (or fbm) into all the octaves (9 for 512x512 resolution) and store each of them into a texture. This is all we will need for our algorithm, so we reduce the storage by a factor of 50, and even more if we notice that low frequency octaves can probably be stored in smaller resolution. Now, the trick to get a dynamic fbm is to move each octave into the 2D plane with different velocities, and re-compose the turbulence each frame from the individual offseted Perlin noises. The algorithm on the right executes very quickly even in a old computer, since there is no temporary buffers, the operations are done using integer numbers and not floating point, and because some properties of power-of-two numbers are used. However, because the offseting of the textures were integer, the animation suffered a bit from artifacts. 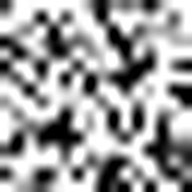 This issue can be solved by using fixed point offsets and bilinear interpolation when fetching from the noise texture. However, since all the algorithm can be easily moved to the GPU as we will see later, I just let this version work like this and forgot about the issue, since the graphics card is just excellent on doing bilinear interpolations. Once we have the dynamic 2D fbm we have to use it for creating our cloud layer. We realize we need big cloud-free areas (see first image in this page). However, we might be interested in cloudy skies too (see the image to the right). So, we need an easy way to control the emptyness of clouds. By taking a threshold to our fbm texture to interpret every value below that threshold as empty sky and everything above as cloud, we get what we need. So, we clip every value smaller than the threshold to zero, and for sure, we remap the high part of the fbm (everything above the threshold) to the range 0..1 (0..255). This can be quickly made with a linear mapping. In the case of Paradise Is Coming, because there was no interactivity with any user, I could optimize the linear transformations with bit shifts instead of expensive multiplications. As we will see, in the GPU version of the algorithm, however, doing the remaping is as easy as a MAD pixel shader instruction. The final step is to use the resulting texture as layer in the sky rendering, for example, to lerp the sky and the cloud color (white and blue in the most basic case). However, if clouds are implemented just like this, they look quite flat and boring. We need a kind of lighting effect to get some volumetric feeling from them. For that I made a kind of fast raycasting on the cloud, I think in a similar way Terragen is doing. The idea is to consider the cloud to be more dense where the fbm value is higher. If we assume a more or less flat base for the cloud, denser means higher for us. We also assume that we are always looking to the clouds from below, what makes sense because we are simulating them with a 2D layer on the dome. That means that for every pixel in the screen that belongs to a cloud, the light ray going from the camera to the pixel and intersecting the cloud is hitting it in the bottom part of the cloud (the blue dot in the picture below). The light leaving that point towards our eye is the same entering the cloud from the sun direction in red point that crosses the cloud and gets atenuated. We assume that the more cloud volume a ray traverses, the more light attenuation happens. So, light coming from the sun from the red point in the picture will lose energie when traversing the cloud in his way to the blue point, the point we actually render. We are assuming very basic lighting model, with single scattering, but we are not interested in physical correctness, but in having something working. So, by coloring the pixel with darker color when the sun rays traverse more volume and brigther when it traverses less volume, we get a nice shading that gives volume to the cloud, since thicker parts are shown in darker colors. To quickly determine the distance a ray traverses inside the cloud (green segment) we need a kind or raymarching algorithm. I used a few equally spaced positions along the sun direction ray to sample the cloud altitude (density of the fbm). For points in the ray inside the cloud, the actual vertical position is smaller than the cloud altitude, while the contrary holds for points outside the volume. So, doing a comparison per point allows to estimate the distance the ray traverses the cloud. For example, if the actual pixel was in the right part of the cloud, just one of the 5 samples happened to be inside probably. 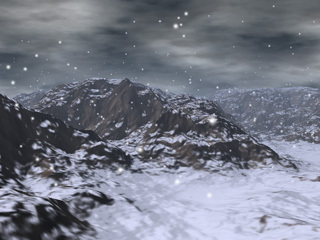 The proportion of samples inside the cloud was used as graylevel for the shading. Tweaking the contrast and softening of this value, the shading was made. Last years it has become usual in realtime graphics comunity to move to the GPU algorithms that where traditionaly executed on the CPU. And so I did also with the 2D dynamic clouds. 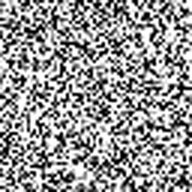 Since the basic algorithm is offseting some precomputed noise textures and adding them together, the algorithm is very suitable for the GPU. As in the CPU version, first the N layers of noise must be backed into textures. However, for the GPU version I used four layers instead of eight, even if my final cloud layer was 512x512. Textures could normally be grey level textures; however, to speed up the raymarching process I described in the CPU version, I used the four RGBA channels to do four texture feches into a single one. I will explain this later, lets go first to the fbm construction. To calculate the cloud texture we need to render into a screen aligned quad of 512x512 pixels. 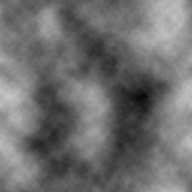 We bind the four noise textures to it, and we give the usual texture coordinates (0,0), (0,1), (1,0) and (1,1).  In the vertex shader we will offset this texture coordinates to simulate the noise offseting. This works as long as we are using a WRAP texturing mode, and not CLAMP. The texture coordinates interpolation and bilinear interpolation circuity take the responsability of creating a smooth layer movement. Thus, the vertex shader makes nothing else than writting the output clip space vertex position and calculating the texture coordinates. For that last task, the basic (0,0)-(0,1)-(1,0)-(1,1) texture coordinate is passed in the channel 0, and the rest are calculated based on the per-layer speed that are given as local variables to the shader. Doing this computation in the vertex shaders saves to the pixel shader from doing dependant texture reads, what is good for performance. If the regular noise values where stored into the w component of the texture colors (alpha channel), the fbm value would result to be also in the w component. Thus we can already output it to the color of the shader so that the synthetised texture has the cloud/sky value into the alpha channel and the sky-dome shader can use it to correctly lerp between sky and cloud color. This allows to have the sky coloring algorithm into another shader, and be as complex as desired but still independent from the cloud generation method. So, we now have to calculate the actual cloud color (the grey scale coloring due to volumetric nature of the clouds) and put it into the rgb channels, ie, we have to do the raymarching. Because we want the shader to be as fast as possible, we will do it with a trick. We will use only four samples for the raymarching, and we will sample all of them at once. Remember that what we need is the value of the fbm in four points: the actual one (the blue one in the picture we saw), and the following three. The current one we already have it in fbm.w. Nice trick could be to have the other three in fbm.xyz... By inspecting the algorithm we see that it could be already the case if we had our primitive noise textures correctly created: if the rgb channels of the each noise texture contained the noise values of the current texture after offseting the sampling point in the sun direction vector projected in the dome geometry. Basically, it means we have to put into the alpha channel of our noise textures the real noise value, into the blue channel the noise displaced by a raymarching-step (projected into the dome), into the green on the noise displaced by two steps, and into the red one the noise displaced by three steps. Then, without changing the shader's code above we have already the four cloud altitudes in the fbm variable ready to use! The altitude comparisons now becomes really simple. Put into another variable ray the four altitudes of the ray starting from the blue point into the sun direction. Now a simple substraction of ray and fbm will create negative values for points inside the cloud, and positive values for point outside. With a correct MAX operation or optionally a MUL_SAT we can obtain binary values. The final integration (doing the average of them, ie, adding and then dividing by four) can be quickly done with a dot product operation DP4 between the values and the constant vector (0.25, 0.25, 0.25, 0.25). As shown, the implementation of the 2D dynamic clouds can be done in a very small pixel shader, and thus runs very fast. There is no dependant texture reads, nor complex arithmetic intruction. 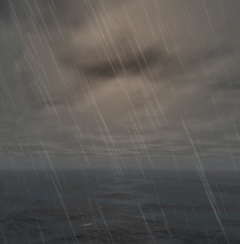 The result is that the clouds don't render slower than a thousand frames per second in a normal graphics card, with subpixel accuracy :) Below some images of the sky renderd with this technique into a realtime demo featuring complete weather simulation.